First off, excuse this horrible photo!! I have had sick kids and now a sick husband for over a week and a half. I had to take these at night...not my favorite time of the day to take pictures. This past weekend, however, I was bound and determined to concentrate on Button's arrival. I have been forcing myself to realize that we might actually have a healthy, hollering baby in our arms next week. It is a tough thing to imagine! 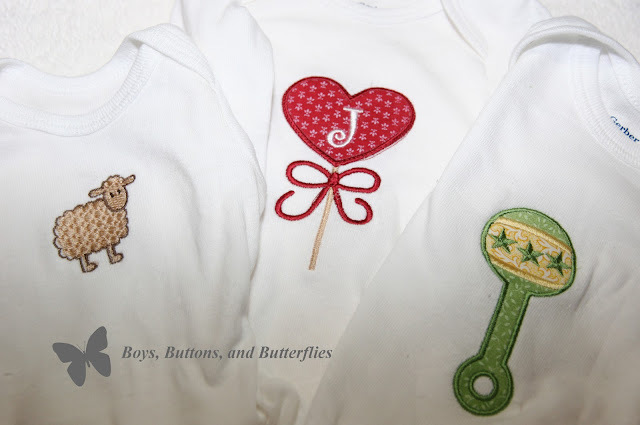 Because we don't know if Button is a boy or a girl, I really wanted to make a few special onsies for the first few weeks before we hopefully do some major gender specific bedding and clothing shopping! So I did a Valentine's lollipop, a green/yellow rattle applique, and a sweet lamb! JJ feels the V-day onsie is a bit girly, so it may not ever be used. 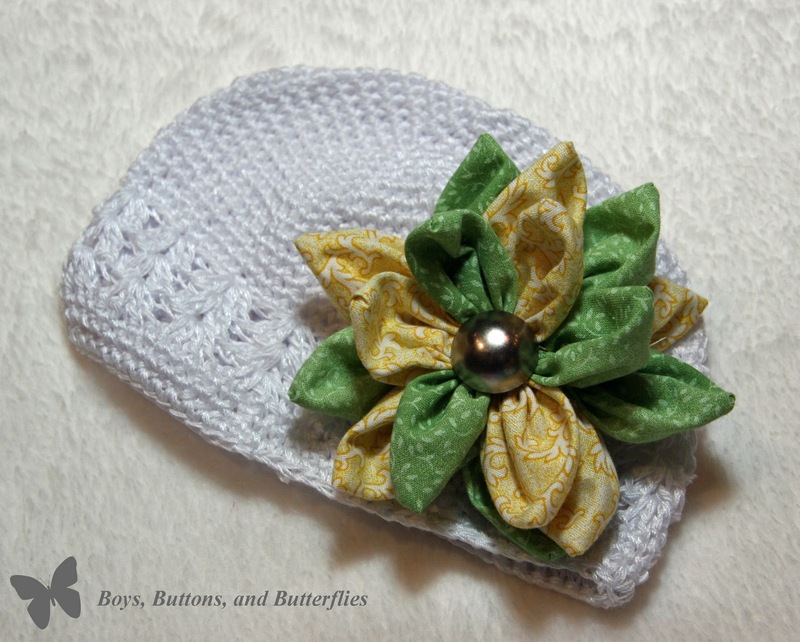 A fabric flower daisy with a silver button center! I love the yellow and green combo! 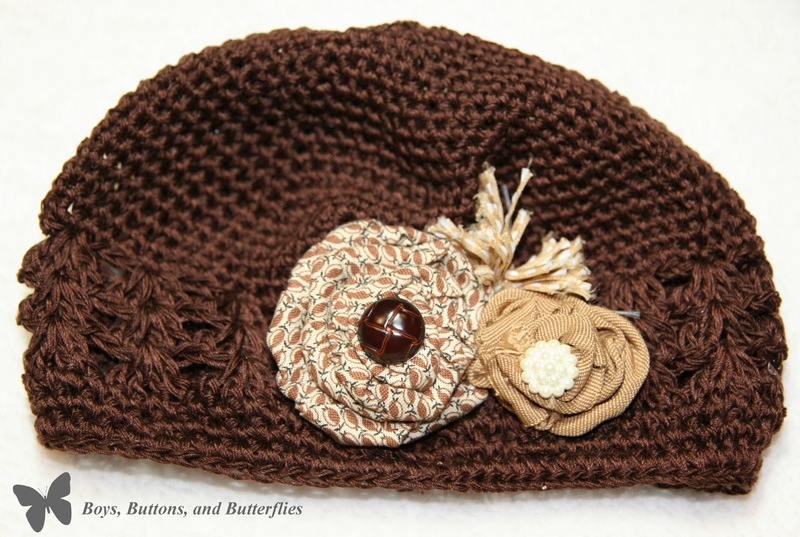 One rolled fabric rose with a leather button center. One rolled ribbon rose with a pearl button center. And a ribbon pom-pom on the side. The buttons are from my "special stash"! 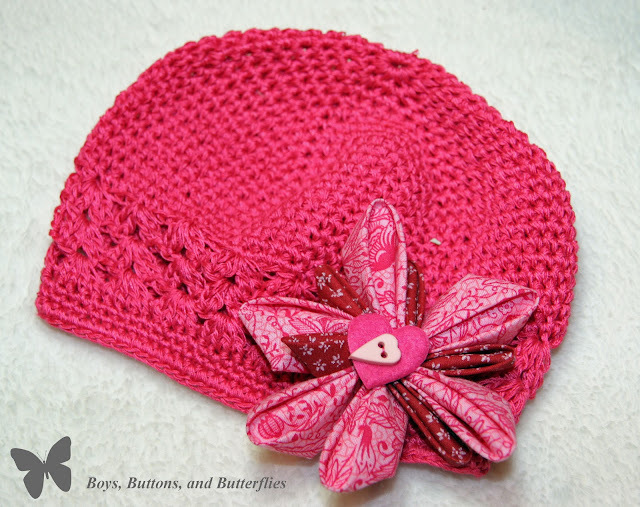 An Oragami Folded Fabric Flower with a felt heart button and a small pink button. This one might go back to the worktable though....I think it needs a few more petals for a bit more volume...and a little more red fabric wouldn't hurt. If Button isn't a girl, what lucky little baby girl will get these?! You are one talented momma! Do you sell the hats anywhere? Praying that you all feel healthy again in time for this new baby's arrival! @Amanada: I am opening a shop soon. Have a website but waiting on logo and website help. I am hoping it is all set for March. I do take orders from my FB page!! Just send me a message!